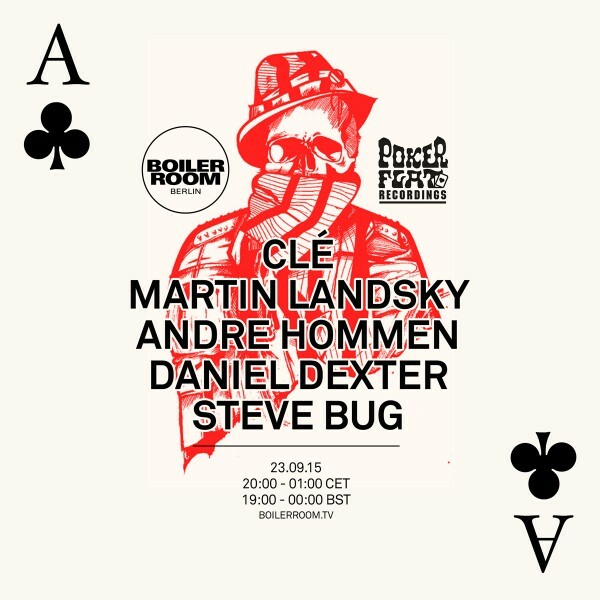 “Boiler Room Berlin invites the seminal label that is Steve Bug’s Poker Flat. Over the years there have been a few names that have consistently come to symbolise and represent at its truest German house and techno. One of which is Steve Bug. As the Berlin based producer’s sound has changed and shaped the dance music landscape over the years, there is no vehicle more responsible for that recently than his own Poker Flat label. We’re happy to welcome Steve back for another Boiler Room session, this time with some friends. Joining Steve will be Clé, who you might know better as one half of Märtini Brös, whose releases have been found on Poker Flat amongst other great labels. A veteran of the Berlin scene he was an integral part of the rise of techno in Berlin, as an original resident of some of the most influential and definitive German clubs, Fischlabor, Tresor and E-Werk.